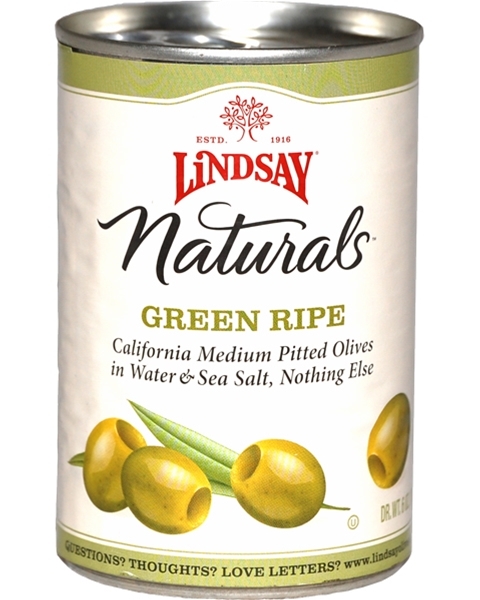 Lindsay Green Ripe Olives are speckled and brown because they are fresh packed. This creates a naturally tender, mild, nutty tasting olive. Enjoy California Green Ripe Olives as a snack or in your favorite recipe. If you you have never tasted these you are in for a divine treat . Simple natural heavenly. Put it on your bucket list. These are the best olives out of a can I have ever tasted! You will not be disappointed!